Pest Control Service Order Book RHS0365 At Print EZ. Pest Control Service Order Book Item No. 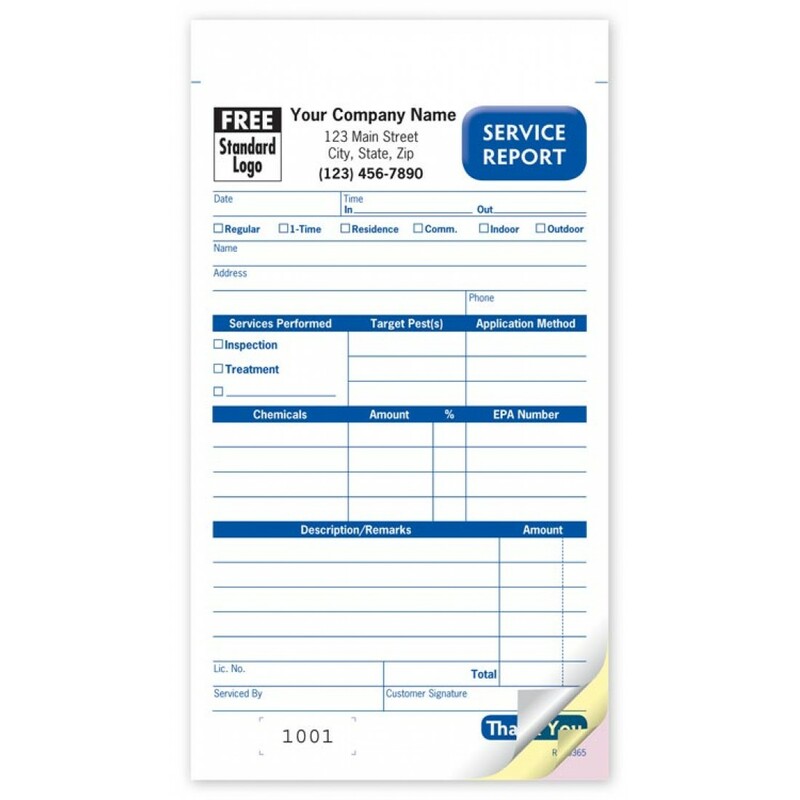 RHS0365 Size: 2 1/4" x 25/32"
Our popular pest control service forms combine professional detail with pocket-sized convenience! Specially designed forms help you meet regulations, with pre-printed sections to list target pests, chemicals applied, application method and more. Take complete orders. Preprinted areas simplify write-ups of target pests, chemicals applied, application method and more. Stay organized. Bottom copy stays bound in book for a permanent record; 50 sets per book. Also includes a handy 3-year, at-a-glance calendar printed inside book.